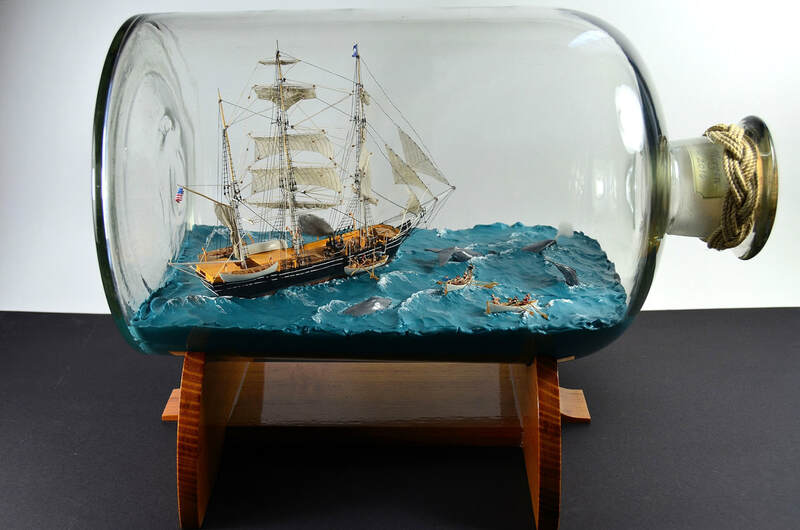 This website ​features the complete works of ships in bottles constructed by artists Gabrielle (Heather) Rogers as well as scale models and half hulls by Stefan Auer. Ships in bottles, though full of the tiniest details and careful attention, are a traditional, maritime art form once crafted by the toughest sailors of old. As a passionate builder of ships in bottles, I have developed a huge appreciation for the challenge of constructing these tiny ships. My overall goal, is to always produce what appears to be a miniature version of a ship or vessel captured in a moment in time. Gabrielle works on fabricating a large variety of ships and scenes in bottles from historic tall ships, square riggers, classic and modern sailing yachts, power yachts, fishing and working boats, to open boats, and dinghies. Let us know if you are interested in acquiring your own custom ship in bottle.